Biography: Prior to beginning Clint Herrema Ministries, Clint and Andrea were youth pastors of Resurrection Life in Traverse City, Michigan. Clint first heard about FMIN as a boy, when Dave Duell came to his church. They both believe, however, that their primary ministry is "with individuals, building and encouraging the local believers and carrying this message with us internationally." With the guidance of Dave and Bonnie Duell, they intend to spread the Good News of Jesus Christ. They have a vision of lighting fires of faith all over, and everywhere they go, Clint and Andrea do light fires and make life-long connections. Drawing on their own strength of networking, Clint and Andrea are working to bring Project Cure together with Faith Ministries and Medical Missions International as they also work the mission fields of Ecuador and the Dominican Republic. 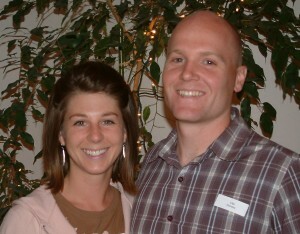 Strengths: Clint and Andrea's strength is their passion for the Good News and for spreading the Gospel of Jesus. They are used by God to network and bring people together to work together functionally.